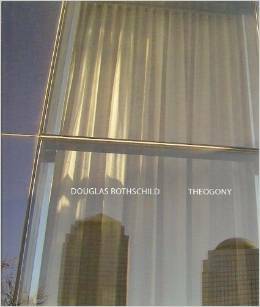 One might argue that Rothschild s thesis in Theogony could be reduced to That which is not there is all that is the case. Although the book collects poems from as far back as 1997, it is a volume profoundly about the events of September 11, 2001 from the perspective of someone who lived in close proximity to the fallen towers. My favorite book of poems for 2009 so far. And a long time a-coming. But finally here it is: as close as possible to a Douglas Rothschild Collected. The pleasure of Theogony starts in the hand: the square format, perfectly suited to the work, and the pleasant, solid, yet casual heft of its 210 pages. Douglas Rothschild’s life has been one long miasma of failure, disappointment, coffee & overarching desire. Though he has not yet accomplished anything of note, Mr. Rothschild intends to continue on for some time yet. Some of this life, such as it is, has been chronicled in Bill Luoma’s WORKS & DAYS & Jennifer Moxley’s THE MIDDLE ROOM.